The Durham Art Guild presents two concurrent exhibitions in SunTrust Gallery. 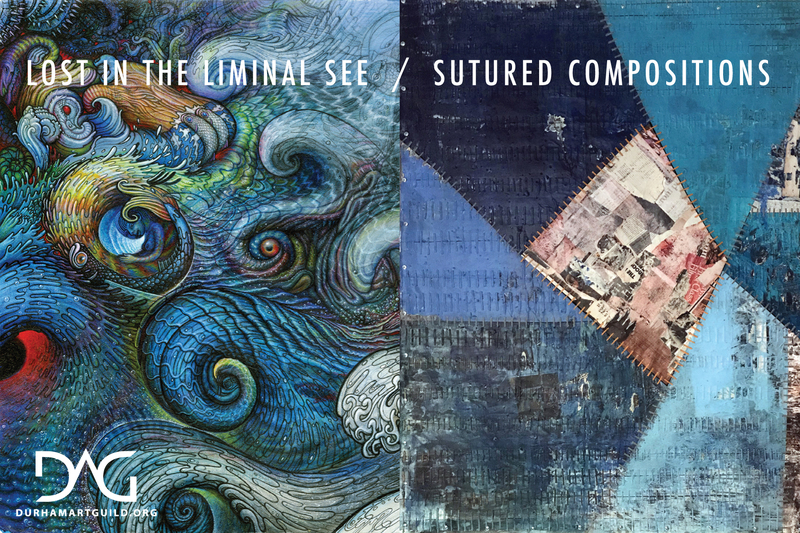 “SUTURED COMPOSITIONS” features works by DAG member Ian Griffin and “LOST IN THE LIMINAL SEE” features works by DAG member Scott Eagle. This exhibition is on view in SunTrust Gallery January 11 – March 9, 2019. Third Friday Durham Receptions: January 18 and February 15 from 6-8pm.